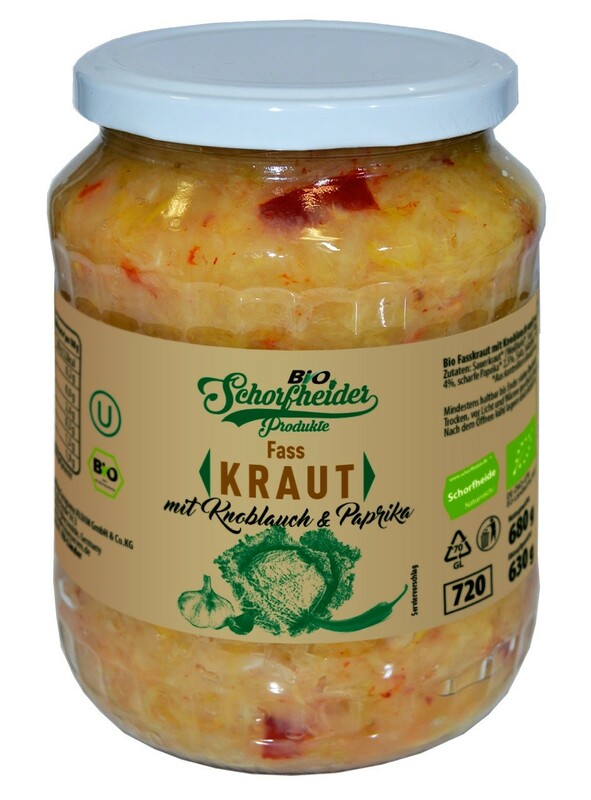 Product made of shredded white cabbage, grated garlic and diced hot pepper with addition of salt, after process of natural lactic fermentation. Pasteurized in hermetically closed jars. All ingredients of agricultural origin and additional ingredients meet the requirements EU current legislation for organic production.